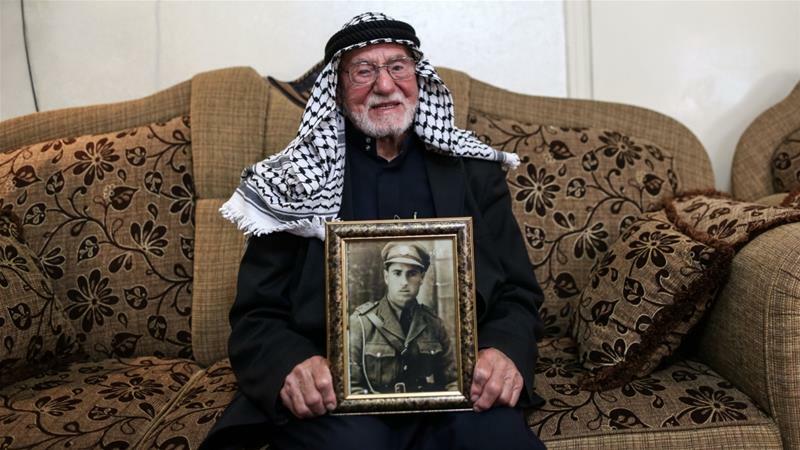 Sur Baher, occupied East Jerusalem - In the village he defended from Zionist militias 70 years ago, Muhammad Mahmoud Jadallah is celebrated as a "blessing". Born in 1921, the 97-year-old, known as Abu Nihad, witnessed the unfolding of what has been dubbed by some as "the world's most intractable conflict". 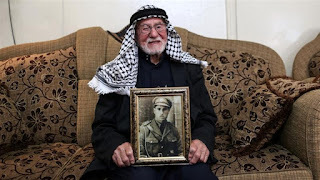 He is one of the few Palestinian men who fought against Zionist gangs in 1948 and is alive today to tell the tale. Sitting on a sofa in his humble home in Sur Baher, a town on the southeastern edges of Jerusalem, Abu Nihad recounts his memories with impressive detail. He takes pride in his recall, pausing in between sentences to say: "See how well I remember?" Photographs from his time as a "freedom fighter" - as he describes himself - and of his father who was part of the resistance against British occupation, line his living room walls. In the corner, a well-organised cabinet is filled with nearly a hundred years of photos, letters and documents bearing witness to his eventful past. Abu Nihad was born at a critical time in Palestine's history; three years after Britain occupied the country with a declared goal of creating a Jewish state there. Zionist immigration from Europe to Palestine, facilitated by the British, was increasing dramatically, displacing tens of thousands of Palestinians from their lands. "There was a lot of injustice against the Palestinians," he says.